Students and Isla Vista residents gathered at Anisq’Oyo Park on April 25 to celebrate IV Earth Day. 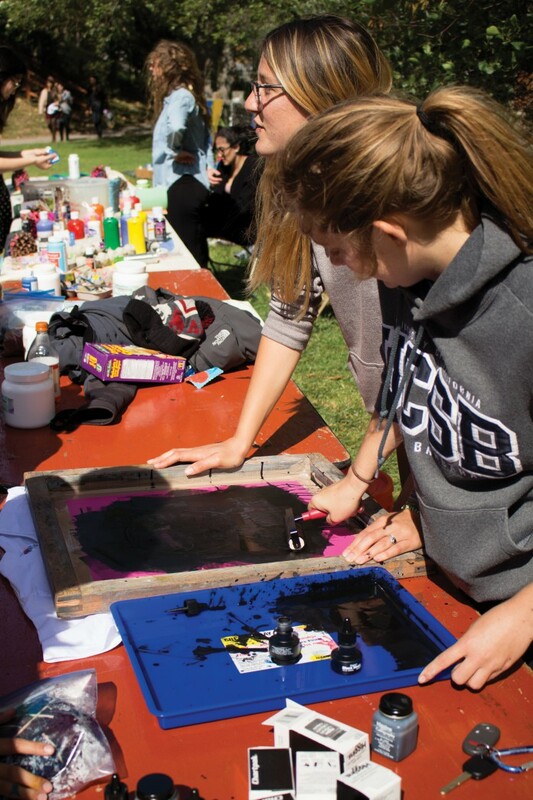 University of California, Santa Barbara’s Environmental Affairs Board organized the event with the objective of bringing awareness about the environment to the community. Second-year communication major Angelica Villalobos and third-year aquatic biology major Emma Moffitt coordinated with campus organizations, local bands, and vendors in order to bring them all together last Saturday. The event was scheduled to begin at 1 PM, but due to unforeseen rain, it was pushed back a couple of hours. Once the sky cleared up, people began to show up. Multiple environment-oriented campus organizations as well as local vendors tabled during the event. Organizations like Save the Mermaids, CALPIRG, and Fossil Free UC gave away flyers and invitations to join their groups. Booths like the “make your own tie-dye shirt” and the free ice cream station were popular attractions. The bands playing at the amphitheater also drew large crowds, including Four Closure, Hidden in Fractals, The White Lightning Co., Erisy Watt, Andy Tsou, The Stay at Home Moms, Jason Matkin Music, and The Tearaways. Pre-law fraternity Phi Alpha Delta had a “make your own trail mix” booth at the event and offered different ingredients for a small price. At the end of the day, Moffitt and Villalobos stated why they believe events such as this are important for the community of IV.